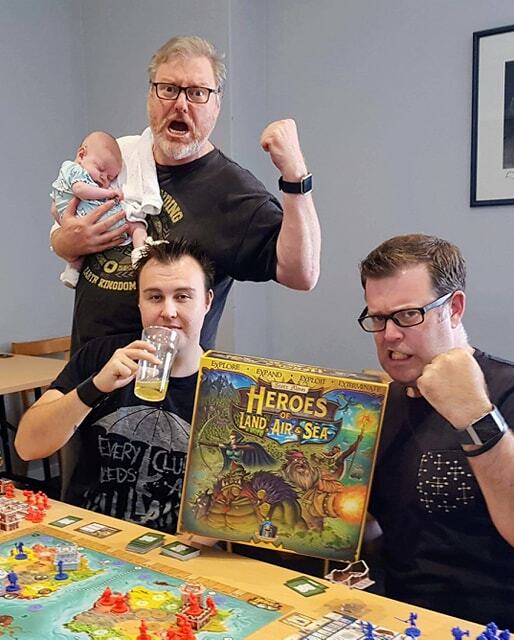 Garth and Mark have the Edge airwaves all to themselves this week, and so they take the opportunity, in Leon’s absence, to talk about his newly arrived Mega-Kickstarter hit from Gamelyn Games, Heroes of Land, Air and Sea. This is probably the most the two of them have disagreed in many, many episodes, and in fact the argument continues to this day! Mark also has the latest news from the GAMA Trade Fair, as well as some other new release information. All that, and the final chance to enter our Bordercon giveaway, will fill your aural canals for almost an hour.